Jaybird Sport headphones and speakers are designed to help athletes get the most out of their time spent training while listening to music that pumps them up. These headphones take advantage of moisture wicking technology, waterproof technology, and ergonomic technology designed to have a high-grade fit and finish with uncompromising audio feedback at the same time. 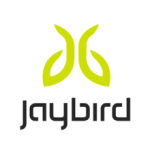 Jaybird Sport headphones make use of next-generation Bluetooth technology to connect to mobile devices, including smart phones and tablets wirelessly. Visitors to this online shop can purchase products from this company had a 10% off discount by signing up for the free email newsletter.